Today I'm super excited to be able to reveal the large project I worked on with my sister Sarah last year. 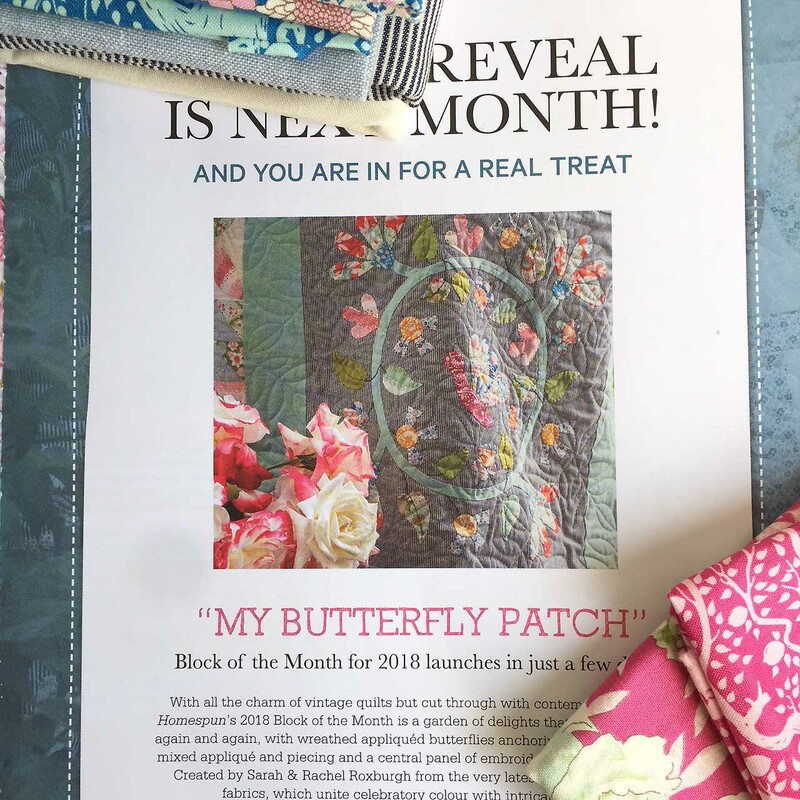 A little more than a year ago Homespun Magazine asked us if we would like to design a quilt for their 2018 Block of the month program. We were both thrilled and honoured to be asked to do such an important project as there have been some seriously talented and famous designer before us! We got to work immediately! Fortunately I was visiting home for Christmas so we put together our design, divided the work so we were ready when the fabric arrived. We were so lucky to work with the new Tilda Lemontree collection. It's just gorgeous, if you haven't seen it yet check it out at your nearest supplier. The first issue is out on newstands this month with the first block. I haven't received mine yet but will definitely post some photos when it arrives. 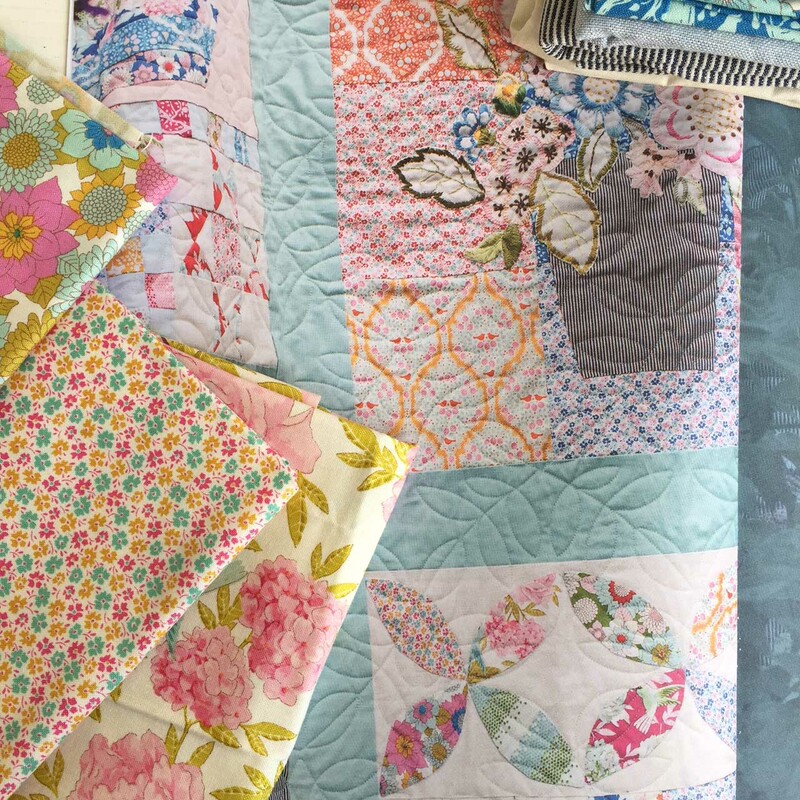 The quilt includes a variety of tecniques, from needle turn applique, embroidery and traditional patchwork piecing. 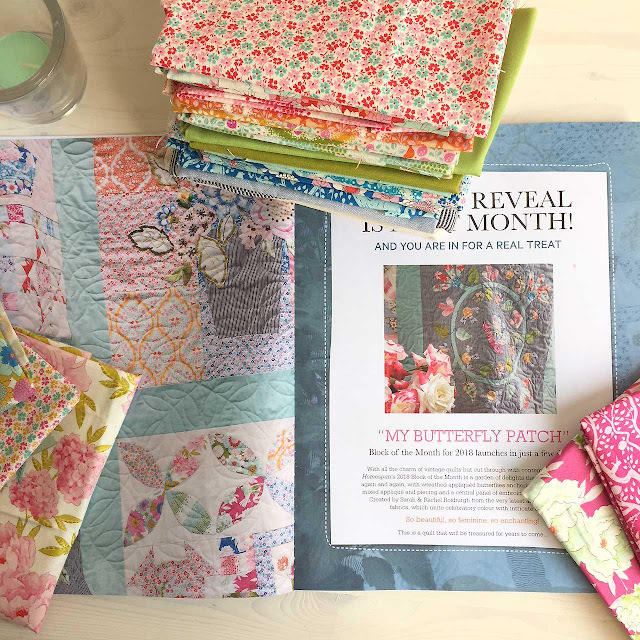 I'm definitely considering following the monthly program and remaking the quilt. Call me crazy but I think I'll do it!!! 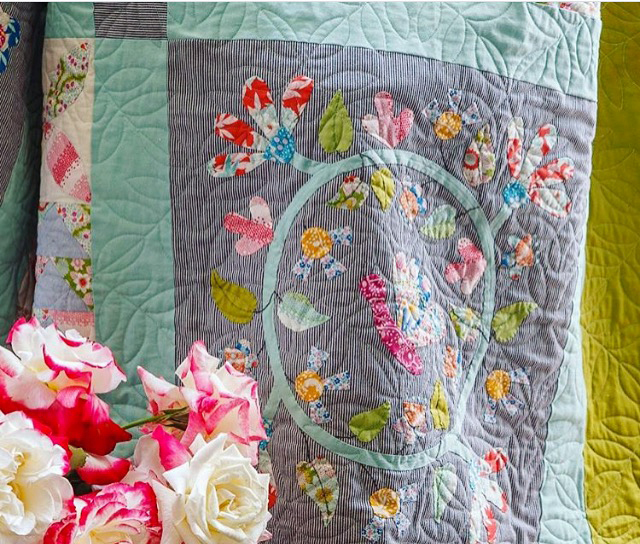 We hope those who decide to make this gorgeous quilt enjoy it. We would love to see your photos and know how it's going. You can tag us on Instagram @roxycreationsbyrachel and @roxycreationsbysarah . We would love to hear from you! If you don't live in Australia, there are many stockists of Homespun in Europe and the US. Another alternative is to buy the magazine in digital form. 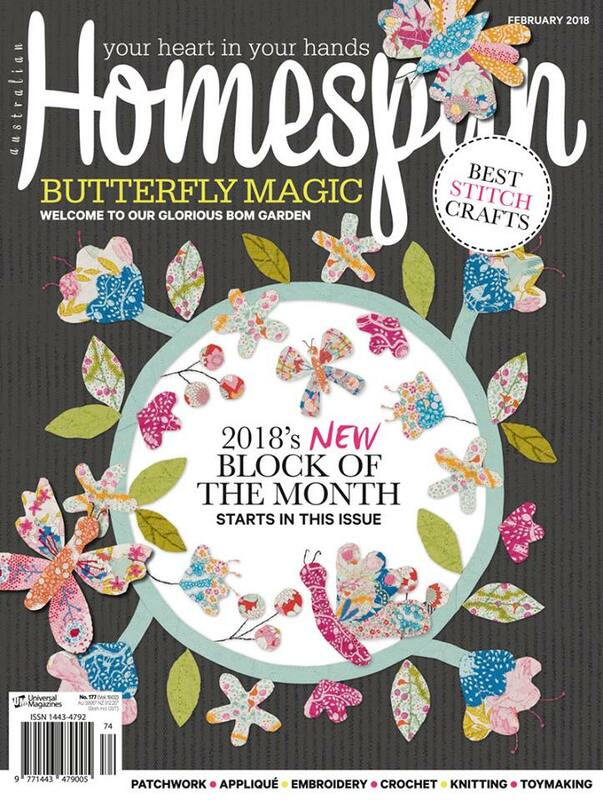 Just pop over to Homespun's website here for all the links.